We have had no major events today yet. 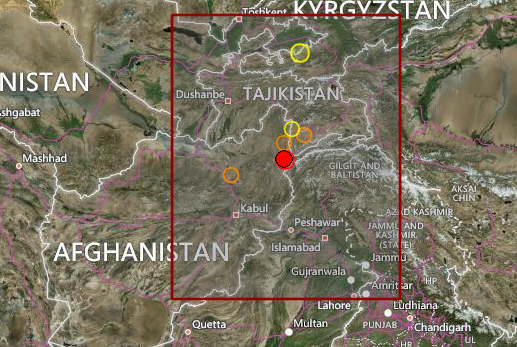 This 4.8R this afternoon in Afghanistan is one of the strongest so far!!! Well we expected this event since yesterday! We posted about it and we claimed a prediction on coordinates Afghanistan (36N, 70.5E). Well not bad!! As we have said here before, sometimes we see today earthquakes and correct coordinates from events expevted YESTERDAY. Like this one. So one must wait one and rarely 2 days before we write it off.